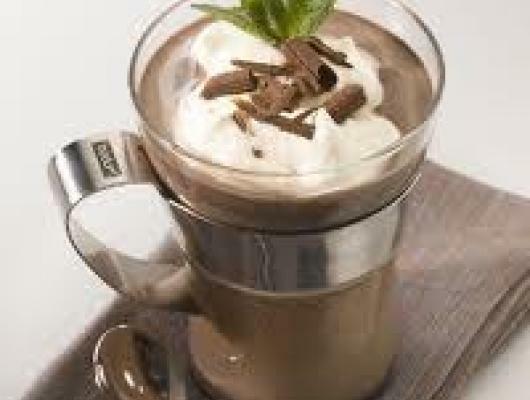 Heat Irish cream syrup. Remove from heat and add Nuggets. Stir until melted. Cool. Mix 2 tbsp. of cream mixture with 2 tbsp. of whiskey and add to 1 cup of hot coffee. Repeat with second cup. Garnish with whipped cream and grated Nugget. 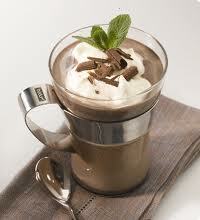 "Luscious Dark Chocolate" mixed with Irish Cream is a "delicious creamy combination" that you are sure to enjoy!